Want to discover Europe this summer, but without the crowds and exorbitant prices of places like Rome or Paris? Why not consider Slovenia? A charming country rich in history and culture, Slovenia is bordered by Italy, Croatia, Austria and Hungary. If you're interested in exploring Slovenia there is no better way than with the freedom offered by a motorhome rental. Along your drive you will be able to enjoy Slovenia's diverse landscape, which features everything from majestic mountains, forests and caves to lush valleys and a stretch of the Adriatic that is not to be missed. Slovenia's Offical Tour Guide has made it even easier to plan your Slovenia motorhome itinerary by providing six different routes for you to choose from. 1. Emerald Route (Kranjska Gora - Nova Gorica - Vipava - Idrija) - Northwest Slovenia is beautiful and pristine. Explore the Ravenska jama cave and taste some Pinela wine in Vipava, located in the Krn Mountains. Then enjoy a hike along the Soča River, visiting mountains, pools and rapids. Stop in Indrija to tour the lace making school and local Gewerkenegg Castle. 2. Peddler Route (Metlika - Ljubljana) - The spirit of the area's traditional peddlers still infuses this route. Here you will find great hiking and gorgeous natural sights from the Dolenjska and Bela krajina heritage trails to a walk along ancient Roman walls in charming Novo Mestoa. Take a tour of Lahinja Landscape Park, Cviček Trail and Kostel and Žužemberk Castles. While in the area be sure to try pogače cakes and Cviček wine. 3. Wind Route (Portorož - Ljubljana) - Catch a glorious sunset from the top of Mount Slivnica, a fabled stomping ground for witches. Windsurf in Portorož. Explore the underground Postojna Cave and Jože Plečnik's architecture in Ljubljana. 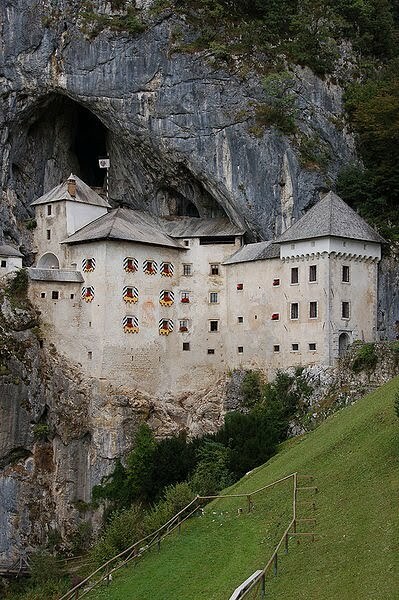 Visit majestic Predjama Castle, which is carved out of a cliff. 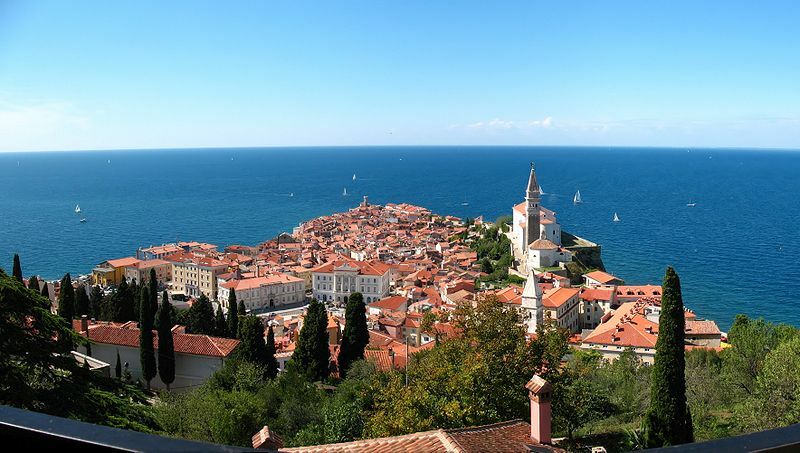 Head to a thermal spa in Koper or Strunjan and then wind down at the quaint restaurants along the coast, like in Tartini Square in Piran, where you should definitely try the seafood and wine. 4. Amber Route (Ljubljana - Maribor) - Along this route take medieval dance lessons in Celje castle or go on a wine tasting tour in a subterranean cellar in Maribor. There is hiking and horseback riding in Phorje, underground biking in Mount Peca and the pilgrimage trail that will take you from Bizeljsko to Nova Cerkev. Be sure to try Štajerska’s kisla juha soup. 5. Sun Route (Lendava - Novo Mesto) - Here you will find love and medicine. Trek to the Island of Love on the Mura River or see if you can come up with some ancient secrets at the historical Olimje Monastery pharmacy. There are also droves of thermal spas and health resorts along this way--in places like Banovaci and Morvaci--where you may want to stop to regroup and regenerate. 6. Goldenhorn Route (Ljubljana - Kranjska Gora) - If you want to be awed by nature then this itinerary won't disappoint. From mountains and lakes to valley and gorges this route has something for everyone. Don't miss: Triglav National Park. Convinced that Slovenia is the way to go for your European getaway? Check out Motorhome Rental Slovenia for great deals for your motorhome vacation.